← Amnesty International growing globally – but at what price? As the Greens meet for their conference in Bristol this weekend, talk of tripling the number of MEPs and taking control of councils is spreading like wildfire. What few seem willing or able to talk about however, is the necessary hard grind that is needed to reach these goals. Enter stage right the new party leader Natalie Bennett. As the Greens gather for their autumn conference the now ex-leader of the Green Party Caroline Lucas couldn’t have given a more ringing endorsement of the her successor, Natalie Bennett. Caroline took to the stage and gave a warm overview of her four years at the helm of the good ship Green Party. The party faithful lapped it up with whoops and applause. There was however just a hint of sadness amongst some. One young conference goer commented to me that “Caroline is what got me into politics, she has been leading the Greens since the day I joined. She is a real inspiration”. It did feel like an end of an era as Caroline and Natalie hugged on stage. One left the stage as the first ever ex-Green Party Leader and the other entered as the newly elected. It was however, widely accepted that this was an important and necessary step for the Green Party to take. 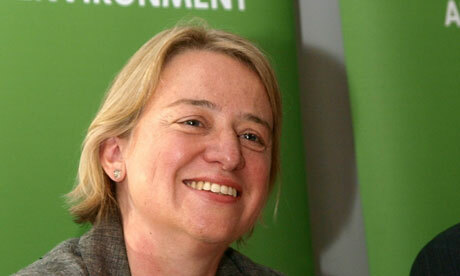 The Greens are often criticised as being a one issue party and they were in danger of being seen as a one women party. Caroline Lucas had come to represent not just the face of the Green Party but the voice, the heart and the backbone. “We’re lucky to have a wealth of capability and experience in our Party…Now feels like the right time to step aside, to allow more of that ability to come forward and help the party to grow”. Natalie, the party’s elected choice from the ‘wealth of capability’ that stood, was left with the daunting task of filling the shoes of Caroline Lucas. A few weeks ago as it became accepted that Natalie would win the election, no one really knew how the party or the press would respond. As Caroline left the stage, a question hung over the auditorium – how would the new leader shape up next to the Green demi-goddess – Caroline Lucas. Well, if you were to believe the party faithful – pretty well. I heard one comment on the way out that Natalie’s speech was an “inspiration”. There was, for me, a little bit too much emphasis on ‘winning disaffected Labour and Liberal Democrat voters’. She failed to explain how this was going to differ from Lucas’ leadership tactics which has failed to establish the party nationally. Natalie, like Caroline, talked about the ‘big steps forward’ the party have made – their first MP, their first council under their control and growth in key seats such as Norwich – but they both seem in continued denial that nationally they are picking up 1-3% and consistently losing deposits. In the majority of seats the Greens are scraping by. To Bennett’s credit however, she did talk about the success of the ‘West Midland’s model’ where the Greens have grown from very little in the last 4 years through hard work in the local party. Trying to replicate this will perhaps be the biggest challenge of her leadership. “1. Identify funding that can be used to ensure any region that wants to have a visit from key West Midlands organisers to discuss this approach is able to do so. 2. Work with interested people to produce at least one guide (video and/or written) to a key aspect of West Midlands practice that can be shared around the party. Bennett finished her speech with a plea to the party membership to hold her to account on these pledges commenting, “they are stuck to my fridge so I reminded every day”. The growth of local parties has to be one criteria by which she will be judged. The Green’s are in a buoyant mood as talk spreads of tripling the number of MEPs and taking control of other councils. How does a new leader balance this optimism with the harsh reality of what sits ahead. The problem for any Green leader speech is that the reality of what’s needed – strong local party growth and discipline combined with a national support network – doesn’t lend itself to the media headlines that the party membership has come to equate with success. Bennett’s debut appearance was designed to make a media splash – not to lay the methodology of her plan ahead. Either way, the talk in the press and in the conference is of new Natalie, not of….what was her name….Caroline someone. A new era in Green politics has started.